You have probably heard of or seen the word "sugba" (or sinugba) around Manila. You have probably guessed that it has something to do with food, but did you know what this word actually means? 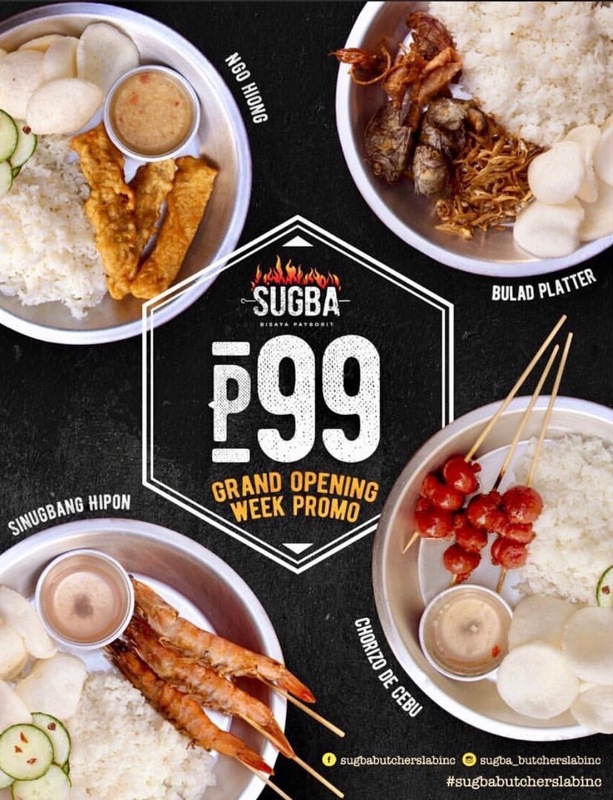 Apparently, "sinugba" is a Cebuano term for any food cooked over a charcoal grill. This is embarrassing for me since I've been to Cebu, but haven't even learned the word, nor had a bite to have a memory to associate the word with. 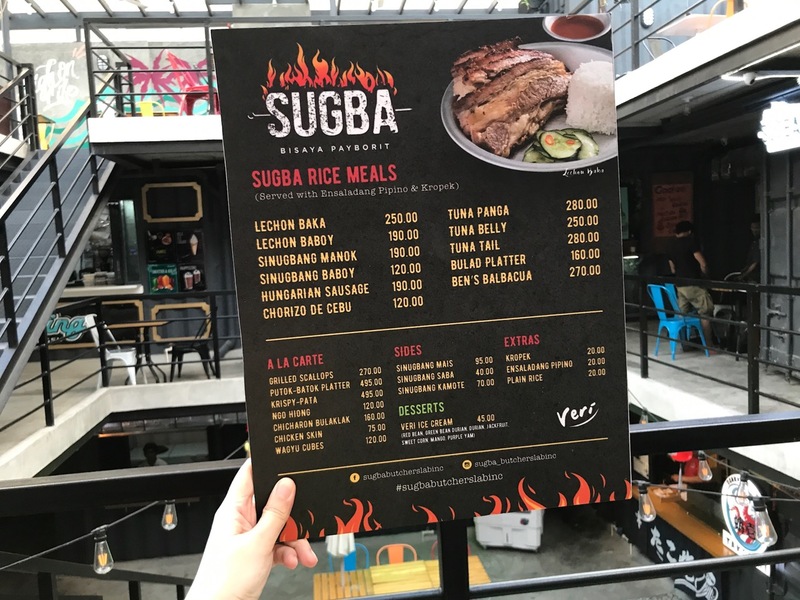 Luckily, I found a simple stall that serves all sorts of sinugba dishes, which is conveniently located in the heart of Manila. Salo Park in Malate Manila is the newest destination for all adventurous foodies out there. 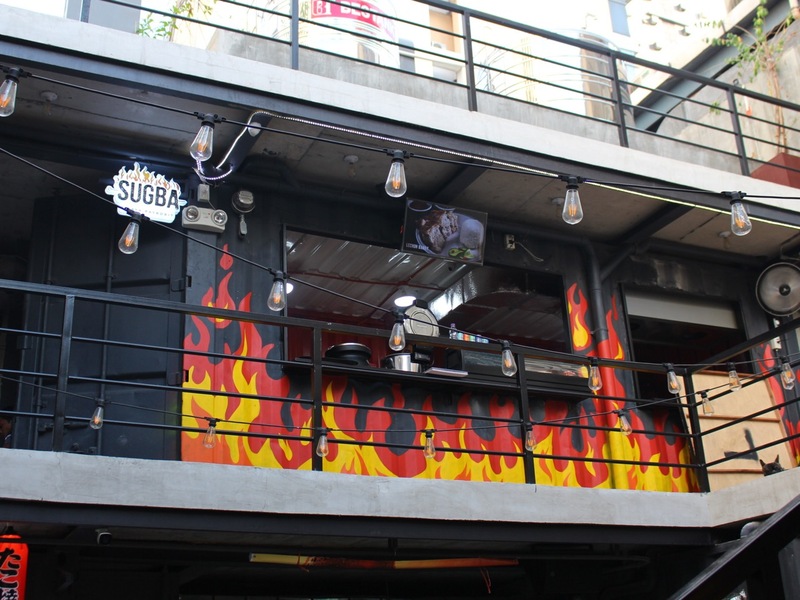 This food park houses different cuisines to discover, including Sugba by Butcher's Lab. 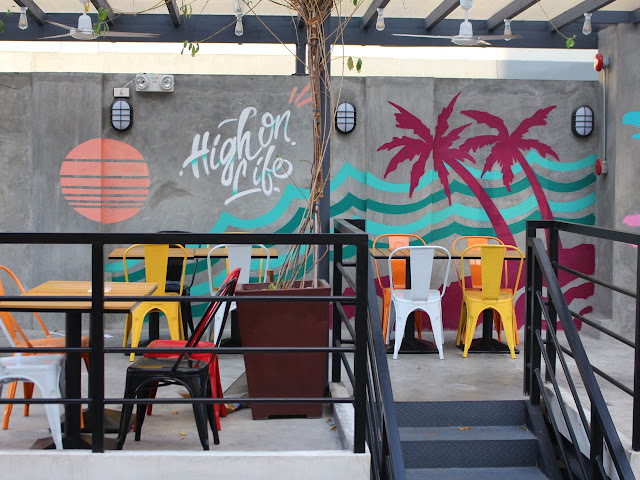 I loved their lechon baka. 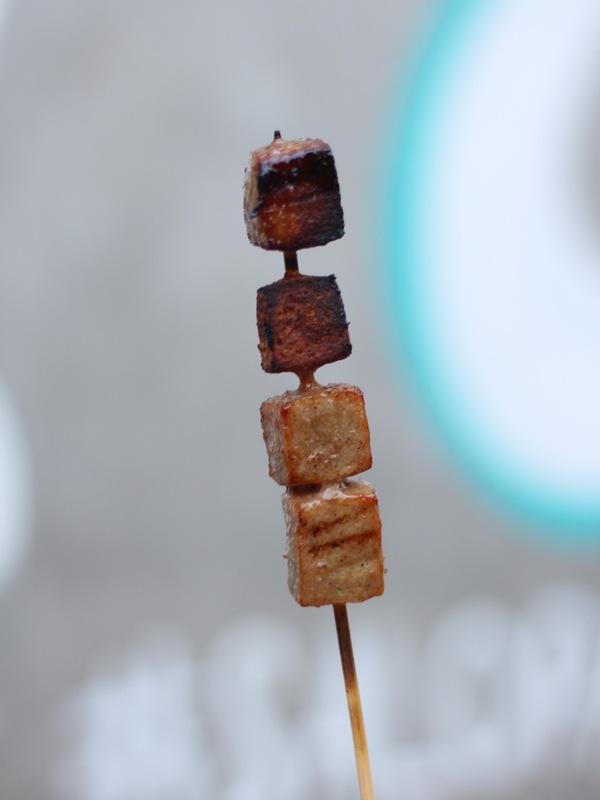 It's juicy, and tasted great both with and without sauces, although I really liked it best with their soy garlic sauce. If you're looking for a classic Filipino dish, you can try the sinugbang baboy, which is a lot similar to our Filipino style pork bbq. 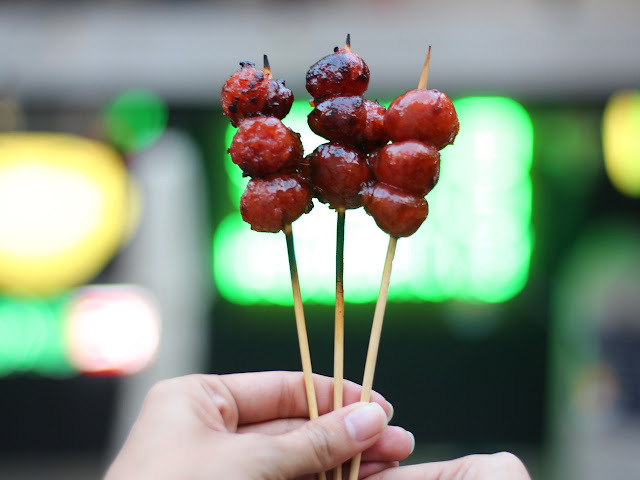 The chorizo de Cebu tasted quite different from the Chinese chorizo I am used to. It's sweet and salty, a bit comparable to a longganisa, but more on the sweet side. The hungarian sausage was what surprised me out of everything that I've tried. 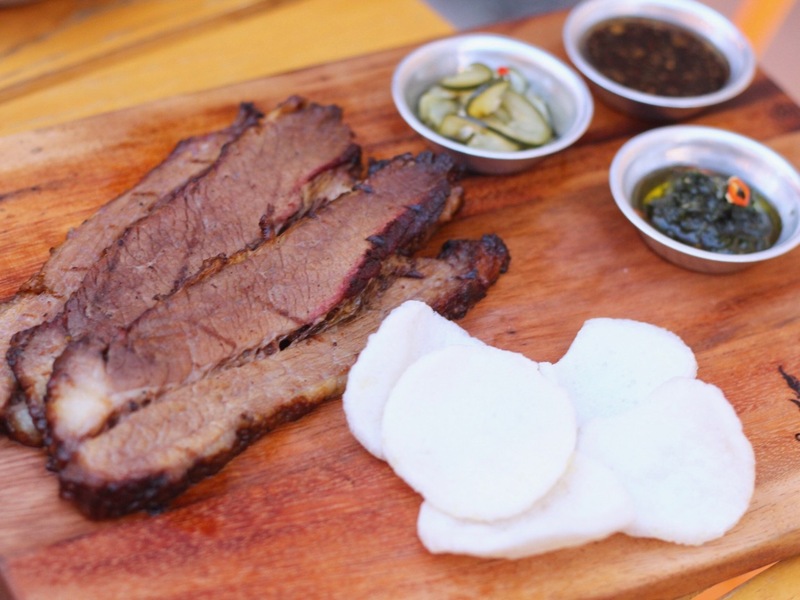 The dish came with a pinakurat sauce. 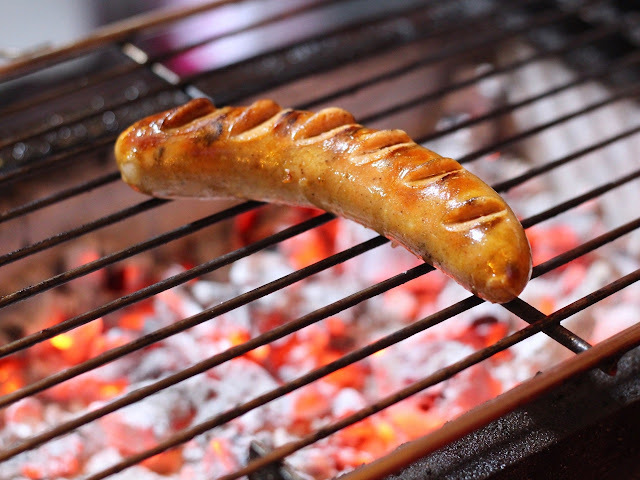 I was skeptical at first, since I haven't had sausage with vinegar before, but then I realized how amazing it actually tastes together! 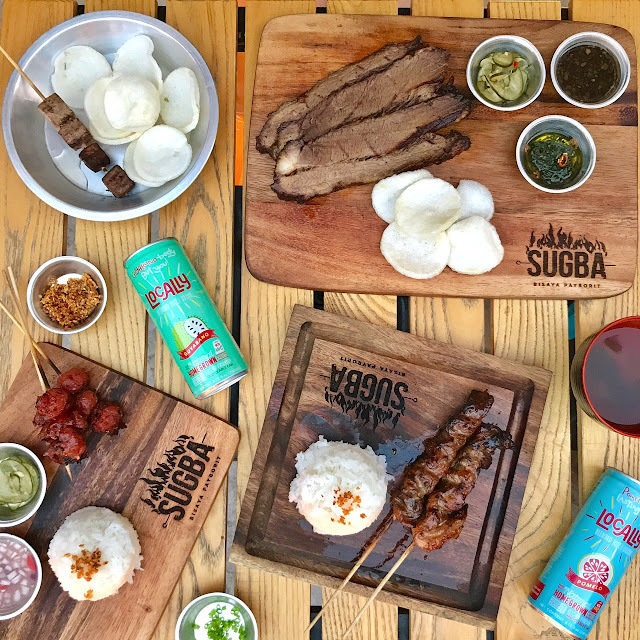 Or maybe it doesn't apply to all vinegar and sausage pairings, maybe it was really Sugba's pinakurat that made the difference. 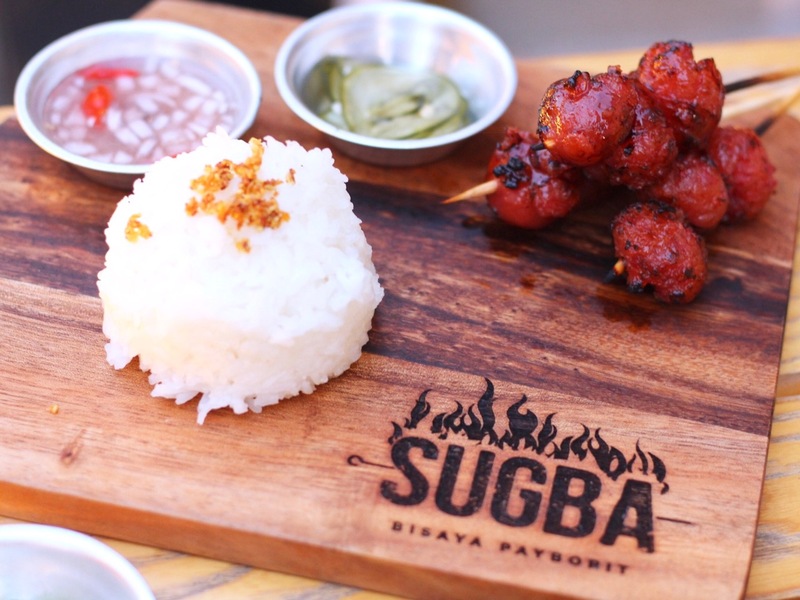 Sugba's not just about Filipino food, as you can have your favorite Japanese wagyu cubes here, too! Normally, food parks have a rowdy, extremely noisy crowd and atmosphere, but this wasn't the case for Salo Park. To be honest, I was at peace during my whole stay. I didn't have to shout just to have a conversation with my friends. 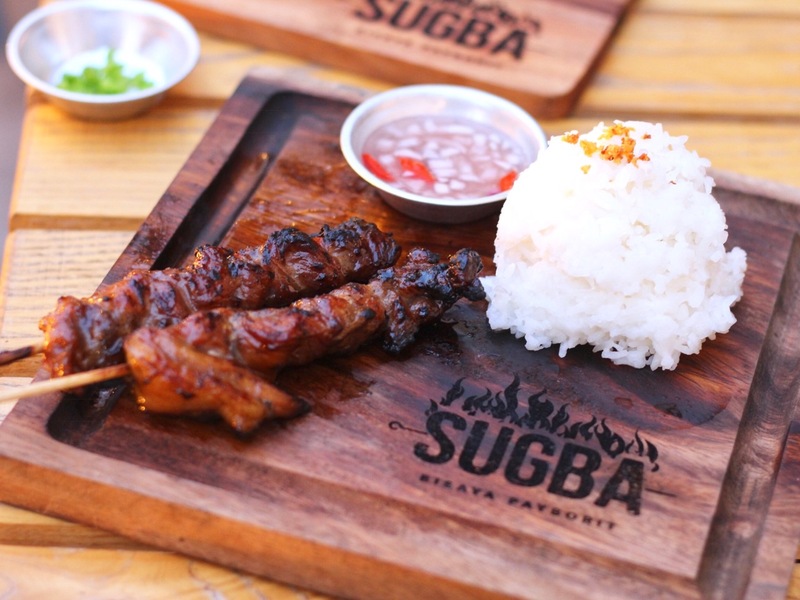 I was laid-back, enjoying my sugba one bite at a time. 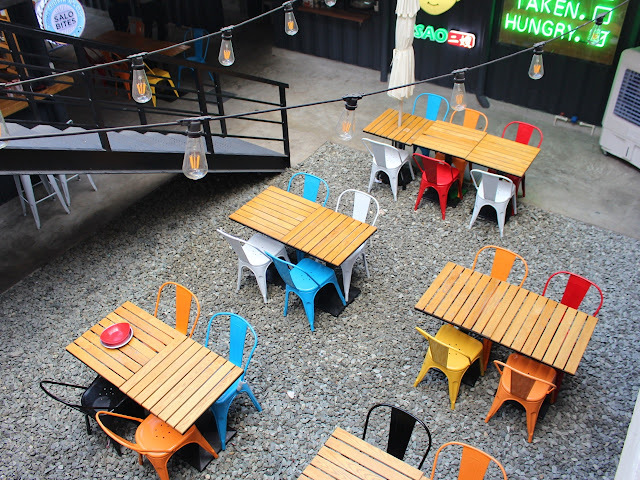 I didn't expect to have such a wonderful time in a food park, eating simple yet delectable grilled dishes. 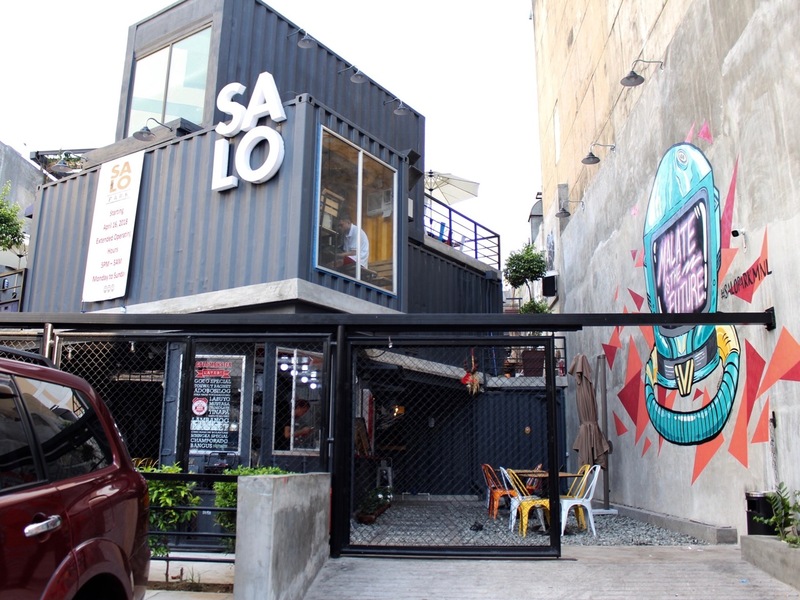 Salo Food Park will officially open on May 11, 2018! Get Sugba's Bulad Platter for only P99 on the week of their opening. What a deal!